His latest endeavor entitled NUEVO COMIENZO employs an instrumental quintet of extraordinary New York based artists. The CD features guest artists Wycliffe Gordon and guitarist Peter Bernstein. The sound draws from Latin and jazz music to explore innovative arrangements. LaGuardia High School for the Performing Arts. But it would turn out to be jazz that would take him on his musical and personal journey. His training has been as diverse as his musical tastes. During his high school years, he studied with two very prominent classical pianists, Robert Harris (Juilliard Faculty) and Edgar Roberts (New York University Faculty). He later matriculated at the highly respected Jazz Performance Bachelors program at the University of North Florida. Under the American Music Scholarship, he studied with jazz pianists Harry Pickens and Kevin Bales. It was here that he started to compose for small group and big band. His hunger to revisit the beauty and energy of Latin music sent him off to the New England Conservatory in Boston, MA to study with Danilo Perez. After many weekend gigs in New York City, he saw his formal education come full circle when he finished his Masters Degree at the Aaron Copland School of Music at Queens College in New York under the guidance of Sir Roland Hanna. Here his love of jazz was married with the piano literature of the classical composers. Also, during this time, he continued studying composition and arranging with Phillip Michael Mossman, who gave him many writing and arranging opportunities.
. Recently, he has been appointed music director for St Edwards Church in Harlem, N.Y. His longstanding commitment to church music has been embodied in the gospel music he explores as the accompanist for the Nightingale/Bamford Gospel Choir. Latest travels have included many cities along the eastern seaboard. Great Midwestern U.S. cities such as Chicago, Iowa City and Minneapolis have also been part of his itinerary. Foreign tours include Colombia, South America; Costa Rica; the AgraJazz Festival on the Azores Islands of Portugal and a recent Jazz Cruise to the Bahamas and the Dominic Republic. He spent a month leading a quintet throughout Russia including Moscow and most of Siberia. His close association with the Kupferberg Center at Queens College, the Juilliard School, Jazz Connections Camp at Montclair St. University, JazzHouse Kids and Jazz at Lincoln Center has provided him many teaching and performance opportunities with some of the worlds most innovative musicians such as Antonio Hart, Victor Goines and Christian McBride. 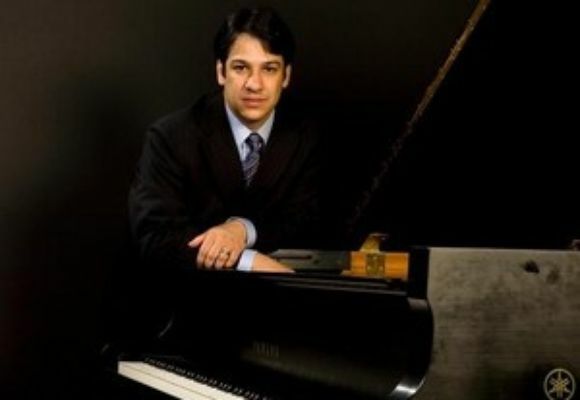 He is the recipient of the 2006 ASCAP/IAJE Commission in honor Of Billy Strayhorn. Oscars group premiered the work at the 2007 International Association of Jazz Education Convention. His latest project is the result of a New Works Grant by Chamber Music America for his septet aptly entitled Oscar Perez Nuevo Comienzo.